Are you surprised? 'Cause we're not. ICYDK, Kendall Jenner moved into Emily Blunt's old house last year—remember the cozy purple couch?—and it looks like she's staying put. 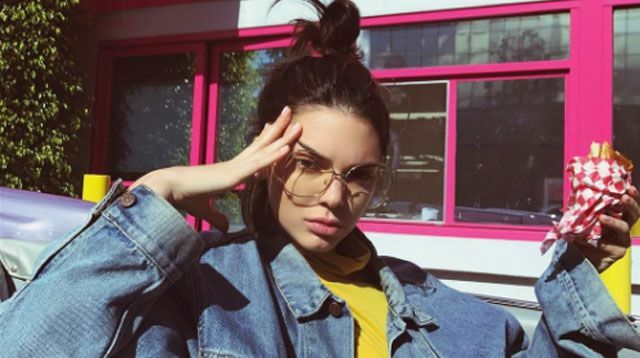 On her app, Kendall's been pretty open about all the fun she's having fixing up her new home. But like every girl, the supermodel can't get enough of her closet: "One of my favorite things about my new house is the closet. It was perfect when I moved in and didn't need any customization. All four walls are racks but the biggest perk is that I have an island in the center, which I've never had before."